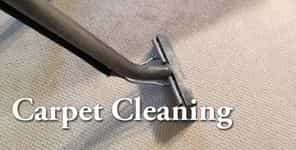 We are a local carpet cleaning company that began right here in Colorado Springs. With our years of experience and passion for the business, our main goal is to provide excellent care at a great price. Do you get overwhelmed when searching for a cleaning company in Colorado Springs? Well, look no further. We are conveniently located in the central part of town and pride ourselves on giving customers that small town feel while boasting the resources of a national company. If you are tired of being just a number and waiting to be put on a list, call us for prompt and personal service. Our team can tackle any of your carpet cleaning needs, from repairs to steam cleaning and everything in between. We make use of the purest products yet still have the industrial strength that can handle any project. Whether it has old or new stains, we will leave it smelling fresh again. We won't leave until the job is done right and if you're not satisfied, we'll come back to make it right. We guarantee that you won't regret booking our cleaning services. Call A Carpet Doctor today to see how we can help you! re you hosting a big event in your home and need your carpets cleaned? Do you have stubborn pet stains that don't seem to go away with store-bought products? Are your kids accidentally spilling juice when you tell them not to take drinks out of the kitchen? 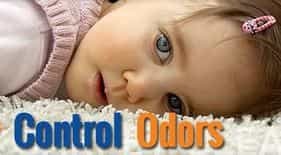 Is there unwanted odors in your basement that you keep avoiding? We can help! Trusted as the best Colorado Springs carpet cleaning company by realtors, property managers, and homeowners, we will work tirelessly to remove even the toughest stains and water problems. To see how we can help you, contact A Carpet Doctor today! While many people know A Carpet Doctor as the complete source for any needs, we are also masters at upholstery cleaning. 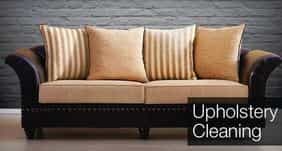 Whether it is a couch, love seat, dining room chair or any other upholstered item, we make sure the highest cleaning and care standards are met. Furniture is meant to be enjoyed. You spend a lot of time on your furniture- wrapped in a blanket with that early morning cup of coffee, cuddling with a significant other while watching a movie, or having the guys over for Sunday afternoon football games. With A Carpet Doctor, you don't have to be embarrassed by a couch or chair stain anymore. Call us today! When your friends comment on your new carpet, you can tell them that it’s not new, it was professionally cleaned by the best company in Colorado Springs! Carpet can add a touch of warmth and comfort to your home, but it has a tendency to stain easily and leave unsightly wear and tear that is hard not to notice. A Carpet Doctor understands these dilemmas and provides only the best in cleaning solutions that break down grime and dirt without bleaching or causing harm to your threads. 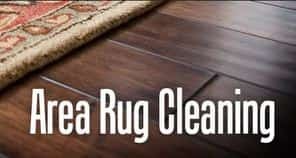 There are several different ways to tackle a cleaning job, and as professional carpet cleaners, we know the best ways to treat your particular rug without adding unnecessary damage and fading that can occur with improper cleaning techniques. Hot water extraction works on most types for both commercial and residential of all different colors, though heavily soiled and stained areas may need our deluxe conditioner and rinse that is guaranteed to pull out the toughest stain for an easy extraction. Whatever the case may be, we have the best cleaning solution and service for you! Pet stains are a difficult set of stains that can leave your carpet discolored and with an unpleasant odor that can’t be covered with a house hold spray. If your pet leaves a mess, don’t hesitate to call A Carpet Doctor for the clean that only a professional cleaner can provide. Our state of the art shampooer can make short work of your pet stains and lift out the discoloration as well as full pet odor removal. Soon your carpet will smell as good as it looks! ​In between professional carpet cleanings, maintaining and preventing pet stains and spills will lead to your rug lasting longer. Here are a few tips and tricks that will potentially save your carpet and allow it to last for several years longer before replacement is needed. 1. Regular Vacuuming – although this one may seem like a no-brainer, regularly vacuuming can, in fact, keep your carpet fresher for longer. Longevity is the name of the game when it comes to getting the most out of your area, so don’t forget to vacuum thoroughly on a regular basis. 2. Quick Spot Removal – stains and spots can sometimes happen when you aren’t at home, but for those that are directly related to a drink spill or food drop can be prevented altogether with quick intervention. After a drink is spilled, grab a clean, dry cloth and press it gently onto the spill. The fluid hasn’t had a chance to sink deep into the carpet fibers and can be removed quickly without damage to your carpet, if taken care of promptly. 3. Move furniture to change traffic in your home – some people like to keep their furniture in the same place for years, which causes it to wear unevenly and even bald in high traffic areas such as between your couch and armchair, which is used on a regular basis. Change up your house’s dynamics and we guarantee the fresh tarp under your sofa will look nice and fluffy compared to the worn areas that have been created with overuse. Not only do we meet all of Colorado Springs carpet cleaning needs, we also specialize in carpet re-stretching. Do you have wrinkles that need to be stretched out? Unfortunately, some installers don't do the job correctly in the first place, so there may be a bubbled appearance or misaligned seams. We can deconstruct the seam and rebuild it to professional standards. When we enter a house that is full of ripples and bumps, we leave with the slack being fully removed, leaving your carpet smooth and visually pleasing. No matter the problem, we are your one stop shop for carpets in Colorado Springs.